The Minister's observation came during the event 'Bharat ke Kaushalzaade' - an event honouring beneficiaries of its key skilling programmes- organised by the Rural Skills Division of his Ministry. 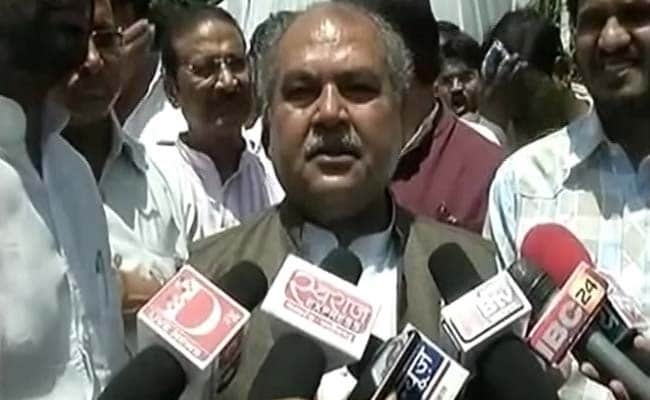 New Delhi: The problem of unemployment would not have acquired such proportions if India had initiated the skilling mission for its youth soon after Independence, Union Rural Development Minister Narendra Singh Tomar said here on Sunday. The Minister's observation came during the event 'Bharat ke Kaushalzaade' - an event honouring beneficiaries of its key skilling programmes- organised by the Rural Skills Division of his Ministry on the eve of Antyodaya Diwas, when the Deen Dayal Upadhyaya Grameen Kaushalya Yojana (DDU-GKY) and Rural Self Employment Training Institutes (RSETI) with an objective of building capacity of rural youth were launched. Mr Tomar said that Prime Minister Narendra Modi set up the Skill Development Ministry after he came to power in 2014. On the occasion, 'Kaushal Panjee' (Skill Register), a mobilisation platform, was also launched.